Linde’s idea was a new twist on a family of theories about cosmic inflation, a theory that encompasses big bang theory. In Linde’s refinement of it, cosmic inflation continued while the scalar field slowly rolled down. If that isn’t familiar science, don’t worry, I’ll post some links. Linde later reworked his new inflation theory, arriving at chaotic inflation, as it is now known. The theory has, as a necessary consequence, a nearly infinite number of parallel universes. To clarify, parallel universes are not a theory of Linde’s, per se. 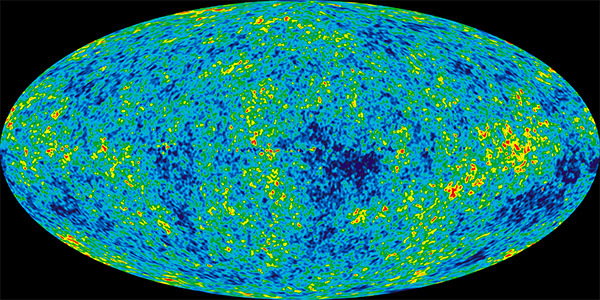 Parallel universes fall out of his theory designed to explain phenomena we observe, such as the cosmic background radiation. So the theory involves entities (universes) that are not only unobservable in practice, but unobservable in principle too. Can a theory that makes untestable claims and posits unobservable entities fairly be called scientific? Even if some of its consequences are observable and falsifiable? And how can we justify the judgment we reach on that question? To answer these questions we need some background from the philosophy of science. A simplistic view of scientific method involves theories that make predictions about the world, testing the theories by experimentation and observation, and then discarding or refining theories that fail to predict the outcomes of experiments or make wrong predictions. At some point in the life of a theory or family of theories, one might judge that a law of nature has been uncovered. Such a law might be, for example, that all copper conducts electricity or that force equals mass times acceleration. Another use for theories is to explain things. For example, the patient complains of shortness of breath only on cold days and the doctor judges the cause to be episodic bronchial constriction rather than asthma. Here we’re relying on the tight link between explanation and cause. More on that below. Notice that science, as characterized like this, doesn’t prove anything, but merely gives evidence for something. Proof uses deduction. It works for geometry, syllogisms and affirming the antecedent, but not for science. You remember the rules. All rocks are mortal. Socrates is a rock. Therefore, Socrates is mortal. The conclusion about Socrates, in this case, follows from his membership in the set of all rocks, about which it is given that they are mortal. Substitute men or any other set, class, or category for rocks and the conclusion remains valid. Science relies on inferences that are inductive. They typically take the following form: All observed X have been Y. The next observed X will be Y. Or a simpler version: All observed X have been Y. Therefore all X are Y. Real science does a better job. It eliminates many claims about future observations of X even before any non-Y instances of X have been found. It was unreasonable to claim that all swans were white even before Australian black swans were discovered. We know how fickle color is in birds. Another example of scientific induction is the conductive power of copper mentioned above. All observed copper conducts electricity. The next piece of copper found will also conduct. In the mid-1700s philosopher David Hume penned a challenge to inductive thought that is still debated. Hume noted that induction assumes the uniformity of nature, something for which there can be no proof. Says Hume, we can easily imagine a universe that is not uniform – one where everything is haphazard and unpredictable. Such universes are of particular interest in Andrei Linde’s theory. Proving universal uniformity of nature would vindicate induction, said Hume, but no such proof is possible. One might be tempted to argue that nature has always been uniform until now so it is reasonable that it will continue to be so. Using induction to demonstrate the uniformity of nature – in order to vindicate induction in the first place – is obviously circular. Despite the logical weakness of inductive reasoning, science relies on it. We beef up our induction with scientific explanations. This brings up the matter of what makes a scientific explanation good. It’s tempting to jump to the conclusion that a good explanation is one that reveals the cause of an observed effect. But, as troublemaker David Hume also showed, causality is never really observed directly – only chronology is. Analytic philosophers, logicians, and many quantum physicists are in fact very leery of causality. Carl Hempel, in the 1950s, worked hard on an alternative account of scientific explanation, the Covering-law model. It ultimately proved flawed. I’ll spare you the details. Hempel also noted a symmetry between explanation and prediction. He claimed that the very laws of nature and experimental observations used to explain a phenomenon could have also been used to predict that phenomenon, had it not already been observed. While valid in many cases, in the years following Hempel’s valiant efforts, it became clear that significant exceptions existed for all of Hempel’s claims of symmetry in scientific explanation. So in most cases we’re really left with no option for explanation other than causality. Beyond deduction and the simple more-of-the-same type of induction, we’ve been circling around another form of reasoning thought by some to derive from induction but argued by others to be more fundamental than the above-described induction. This is abductive reasoning or inference to the best explanation (synonymous for our purposes though differentiated by some). Inference to the best explanation requires that a theory not merely necessitate the observations but explain them. For this I’ll use an example from Samir Okasha of the University of Bristol. The cheese disappeared from the cupboard last night, except for a few crumbs. The family were woken by scratching noises heard coming from the kitchen. How do we explain the phenomenon of missing cheese? Sherlock Holmes would likely claim he deduced that a mouse had crawled up the cupboard and taken the cheese. But no deduction is involved. Nor is induction as described above. Sherlock would actually be inferring, from the available evidence that, among the possible explanations for these observations, that a mouse was the best theory. The cheese could have vanished from a non-uniformity of nature, or the maid may have stolen it; but Holmes thought the mouse explanation to be best. Inference to the best explanation is particularly important when science deals with unobservable entities. Electrons are the poster children for unobservable entities that most scientists describe as real. Other entities useful in scientific theories are given less credence. Scientists postulate such entities as components of a theory; and many such theories enjoy great predictive success. The best explanation of their predictive success is often that the postulated unobservables are in fact real. Likewise, the theory’s explanatory success, while relying on unobservables, argues that the theory is valid. The no miracles argument maintains that if the unobservable entities are actually not present in the world, then the successfully predicted phenomena would be unexplained miracles. Neutrinos were once unobservable, as were quarks and Higgs bosons. Note that “observable” here is used loosely. Some might prefer “detectable”; but that distinction opens another can of philosophical worms. More worms emerge when we attempt to define “best” in this usage. Experimenters will have different criteria as to what makes an explanation good. For some simplicity is best, for others loveliness or probability. This can of worms might be called the problem of theory choice. For another time, maybe. For a more current example consider the Higgs Boson. Before its recent discovery, physicists didn’t infer that all Higgs particles would have a mass of 126 GeV from prior observations of other Higgs particles having that weight, since there had been no observations of Higgs at all. Nor did they use any other form of simple induction. They inferred that the Higgs must exist as the best explanation of other observations, and that if the Higgs did exist, it would have a mass in that range. Bingo – and it did. The school of thought most suspicious of unobservable entities is called empiricism. In contrast, those at peace with deep use of inference to the best explanation are dubbed scientific realists. Those leaning toward empiricism (few would identify fully with either label) cite two classic epistemological complaints with scientific realism: underdetermination of theory by data and pessimistic meta-induction. All theories are, to some degree, vulnerable to competing theories that explain the same observations – perhaps equally well (underdetermination). Empiricists feel that the degree of explanatory inference entailed in string theory and some of Andrei Linde’s work are dangerously underdetermined. The pessimistic meta-induction argument, in simplest form, says that science has been wrong about unobservables many times in the past and therefore, by induction, is probably wrong this time. In summary, empiricists assert that inference to the best explanation wanders too far beyond solid evidential grounds and leads to metaphysical speculation. Andrei Linde, though he doesn’t state so explicitly, sees inference to the best explanation as scientifically rational and essential to a mature theory of universal inflation. With that background, painful as it might be, I’ll be able to explain my thoughts on Andrei Linde’s view of the world, and to analyze his defense of his theory and its unobservables in my next post. This entry was posted on June 13, 2016, 10:59 pm and is filed under History of Science, Philosophy of Science. You can follow any responses to this entry through RSS 2.0. You can leave a response, or trackback from your own site.